Arabic And French Notary Service. Highly recommend this service for flexibility, customer service, and value for the money. A lifesaver! I text them at 8 PM and they conducted the notary the next afternoon In Concord MA! Since I was on West Cost, I had a hard time finding a notary public for my parents who were having mobility issues. This is a great service. 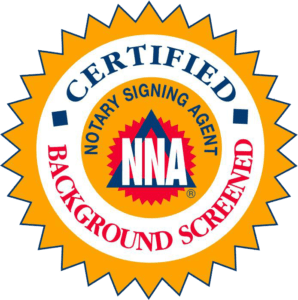 Mobile Notary Public Signing Agent serving Boston MA, Merrimack Valley, Essex and Middlesex Counties in Massachusetts. Performing same day, after hours and weekend Notary service. Stop wasting your time looking for a Notary public, we can come to you, when you want and where you need us to be. Mobile Notary rates starting $49.95. Our Notary public is fluent in Arabic and French and can help you Notarize all your Arabic and French documents. I was stressed about getting my mom’s will notarized on time as I am a single mom who is working full time. I am glad to have found you guys online. 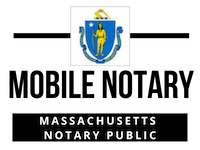 Everything I read about you is true, your mobile notary saved my life! Best secret in town. I did not know I can schedule a notary to come to me! Good job! Your notary showed up at 7 PM, he was kind and very informed, he helped me notarize my Mortgage refinancing and overnight it to the bank the same day!